Another day with several hundred miles behind us and several more hundred miles ahead of us. 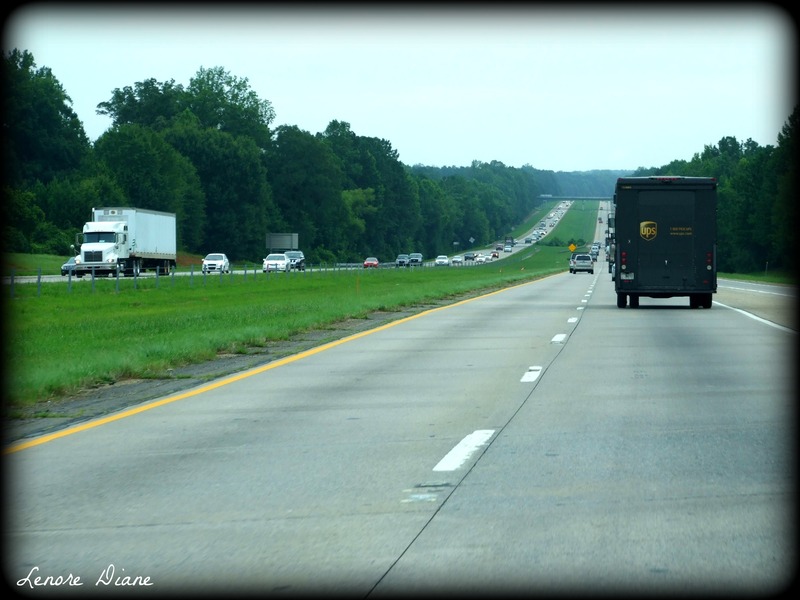 Oooh…a UPS truck! My favorite kind!!! 🙂 Have a great trip! Hee, hee. Perhaps he was headed to your house with a package! But what state are you in? Have a safe drive! Hope you’re indulging in lots of road trip food. You know what, Jackie – we’ve filled up on peanut butter crackers. Kind of lame for a road trip, eh? Maybe on the way back. Hmm, caught in the middle. Have fun, fun, fun. This trip was a breeze, Maxi. Way better than expected. Blessings to you. You’re in Nova Scotia? Are you coming to PEI?